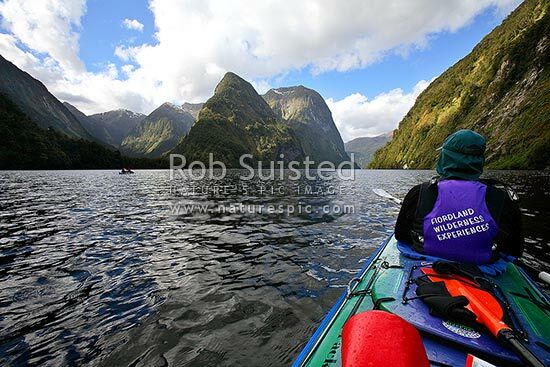 Wilderness sea kayaking in Hall Arm of Doubtful Sound. Fiordland National Park. Double boats. Commander Peak (1258m) centre right, Doubtful Sound, Fiordland, Southland District, Southland Region, New Zealand (NZ), stock photo.